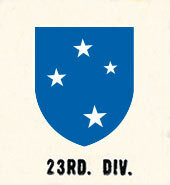 The 164th Infantry Regiment of the Americal Division went into action on Guadalcanal on 13 October 1942 as the first United States Army unit to conduct an offensive operation against the enemy in any theater. Elements of the Division defended Henderson Field against heavy enemy attacks, 23-25 October, took part in the offensive across the Matanikau River in November, and attacked and took Mount Austen in January 1943. Organized resistance ended and the Division was relieved, 9 February. It moved to the Fiji Islands, beginning 5 March 1943, to assume the defense of the main island of Viti Levu and to engage in extensive training. During the period 25 December 1943 to 12 January 1944 the Americal Division landed on Bougainville, relieving the 3d Marine Division and was given the task of holding and extending the right half of a previously established perimeter. The Division went on the offensive in March 1944, driving the Japanese east of Mavavia River, 7-9 April, and seizing numerous strategic hill lasses during the rest of the month. Training and long-range patrol activity continued until 30 November 1944 when the Division was relieved. On 8 January 1945, the Division began movement to Leyte and Samar, to take part in cleaning out remaining Japanese forces on those islands, and to invade Biri, Capul, Ticao, and Burias. Relieved, 13 March 1945, on Leyte, the Division landed on Cebu, 26 March, and seized the city and airfield by 28 March. 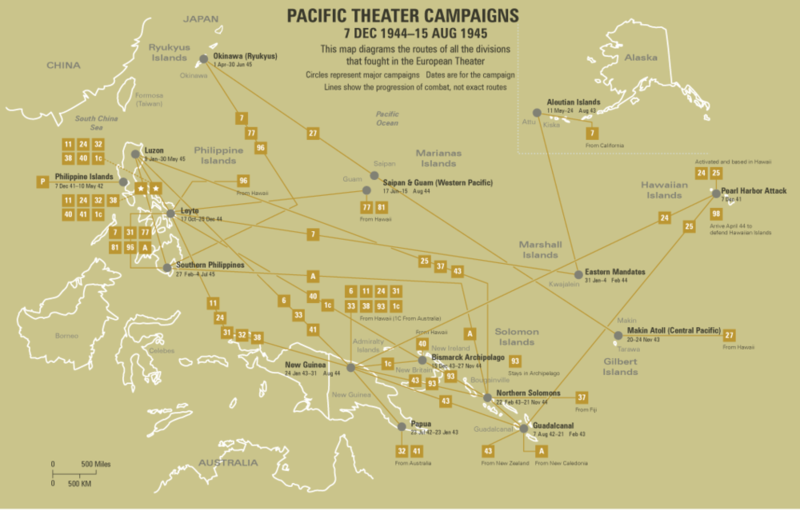 Divisional combat teams made landings on Bohol, Negros, and Mindanao, where they cleared out pockets of resisting Japanese until 17 June when ordered to return to Cebu, arriving on 25 June. Training continued on Cebu for the proposed invasion of Japan. On 10 September 1945, the Americal landed in Japan and took part in the occupation of the Yokohama-Kawasaki-Yokosuka area.